Please help this family if you can! 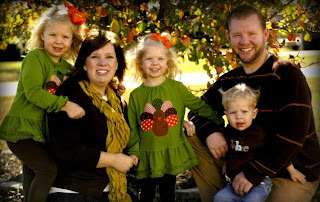 The Groeneveld's are medical missionaries with plans to leave in the fall of 2012 for Africa. Their house completely burned down during the night and they lost everything. We are collecting money or gift cards to Wal-Mart, Target, Old Navy, Children's Place, etc. If you are interested in contributing, please call me at (919) 429-9108. You can also take any items directly to Faith FWB Church on Hwy 70 in Goldsboro and we will be sure that this deserving family gets any items! Thanks!